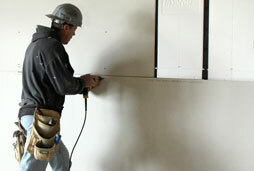 Basement Renovations Now is your #1 stop for basement finishing and basement renovations! Functional : Stop forcing your furniture into cramped spaces! At Basement Renovations Now, we can re-establish or expand the layout of the area to make it much more functional and livable. Whether you envision a simple play area or a fully-finished basement apartment, we can do it all! Fun : The next time you have guests over, you’ll be proud to give them a tour of the basement! Our team of professionals has an eye for entertainment, and we’re happy to tell you about all of your recreational options. We’ve incorporated games rooms, wet bars, theater rooms and more! We welcome all of your unique ideas! Efficient : Create a space where you can get work done. Whether that means incorporating a fully-functional gym or an organized office area, the basement is the perfect option! Create the quiet space you seek, or a place to let off some steam. At Basement Renovations Now, we can get your space up and running in no time! Why Choose Basement Renovations Now? 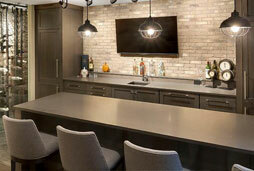 Basement Now provides high quality basement renovations and basements finishing all across the greater Toronto area. 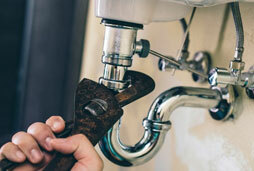 We work with only the most experienced, knowledgeable tradesmen in the business. 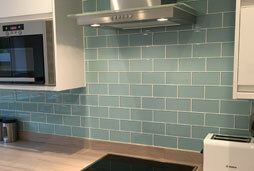 We offer a guaranteed time of completion. If we’re late for our date, we will pay YOU! Enjoy a full design consultation and drawings to help you envision the finished product. This service comes at no additional cost. You do not pay a single cent until you are fully satisfied with the finished product! We’ll beat any estimate! Call us today to receive your free quote! Our team of experienced hangers will ensure that your basement receives a quality dry wall installation, including the proper methods and techniques. Leave the tedious jobs to us, we’re happy to take care of all of your painting needs! From primer to color, we’ll give your basement the fresh look it needs on walls, ceilings, baseboards and more. Choose from a range of flooring options that suit the needs of the room, whether it be plush carpets, clean tiles or premium laminate. Create a functional space with a fully-finished bathroom or kitchen! Enjoy long-lasting quality for everything including the bathroom sink! Our team of knowledgeable plumbers and electricians will help you to create a basement that is not only beautiful, but efficient too. Regardless of your design visions, our team has the tools to create unique and long-lasting solutions. Your basement renovation deserves quality workmanship right from the start, which is why we value the process of quality basement finishing. By guaranteeing that your basement has “good bones”, you can be sure that your family will enjoy a safe, comfortable space for years to come. With our online estimate tool, you can get real-time estimates for your basement renovation project. If you like what you see, feel free to reach out! We’re ready to create your dream basement whenever you are. In the Greater Toronto Area, the average basement finishing costs approximately $35-$55 per square foot, depending on the upgrades and materials. The price should reflect the full process, including costs for labor, design, materials and cleaning. Use our online estimate tool to get an idea of the costs for a basement renovation in your home! Many homes have cracks or structural instabilities in their foundation. We feel it is critical to inspect these potential dangers ahead of time, to avoid problems in the future. We will perform a full inspection of your foundation at no extra cost. We can appreciate the need to stay within a certain budget and within a certain time frame. When you work with Basement Renovations Now, we will create a clear time frame for your project so you know exactly what to expect. We guarantee that we will stay within the budget and time frame that we’ve agreed upon. Large projects like basement renovations can often take a long time, and may become quite stressful! With Basement Now, we can assure you that our team of professionals will stick to their timeline and maintain a smooth, efficient process throughout. Within 3 weeks, you’ll be able to enjoy a comfortable, safe and inviting space without delays. We want the basements we renovate to be as unique as our customers! That’s why we’re proud to offer a wide range of different materials, to create the perfect basement for your specific style and needs. 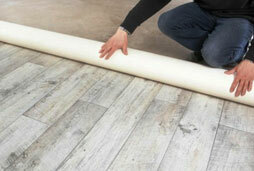 Choose from a collection of flooring options, paint colors, tiles, cabinetry and more! We don’t sacrifice quality for cheaper materials; in fact, we prefer to offer the best supplies for your basement to ensure we give you a space that’s safe, strong and long-lasting. For example, we prefer to use Gypsum wall panels over plastic drywall, because Gypsum is fire-resistant, and holds interior paints better than other options. Our team of workers includes professionals only, including experienced drywall crews, plumbers, tile installers and more. No matter what jobs need to be done, you can be sure that each step of the process is completed by a fully-licensed individual or team. It is much easier to create the space you’ve envisioned, when you can see what it will look like ahead of time. That’s why we’re happy to provide you with three-dimensional images of your basement plan, to ensure that you’re 100% satisfied before any construction begins. At Basement Now, we value constant communication with our customers. While construction is underway, you can be sure that you’ll be able to reach one of our team members with any of your questions or concerns at any time. We’ve been renovating basements for many years, and our experience shows in the spaces we’ve created! If you choose to work with Basement Renovations Now, you can be sure that your project will be completed quickly, correctly and up to code. Not only that, but we won’t finish the project until you’re 100% satisfied. We’re proud of the basement renovations we’ve completed, and we’re happy to provide you with photos of previous completed projects from satisfied customers! When we begin working together, you’ll also be able to browse our full collection of projects, which may give you a better idea of what you want to do with your own basement space!